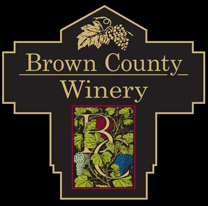 Get behind the scenes and join the team at Brown County Winery for a fun session on blending wines. Winemakers will walk you through the process from selection to batching, and you will be able to create your own blend. Also, learn and be able to recognize common wine flaws and how they can occur through a sensory workshop. Tickets are $30, plus tax, and include a 2019 Wine Trail Passport. This one-of-a-kind session will be from 1p.m. to 3:30p.m., and be limited to 20 attendees. It is part of the Indiana Uplands Wine Trail's 2019 Travel the Trail series, featuring amazing experiences at our member wineries all year long. To purchase tickets to this or other wine trail events go to our ticketing page here.